Time goes fast. It doesn’t seem like a year ago since I was at VeeamON Forum London. It was a great event, I got to talk with lots of like-minded people and learn about the latest and greatest in data protection. 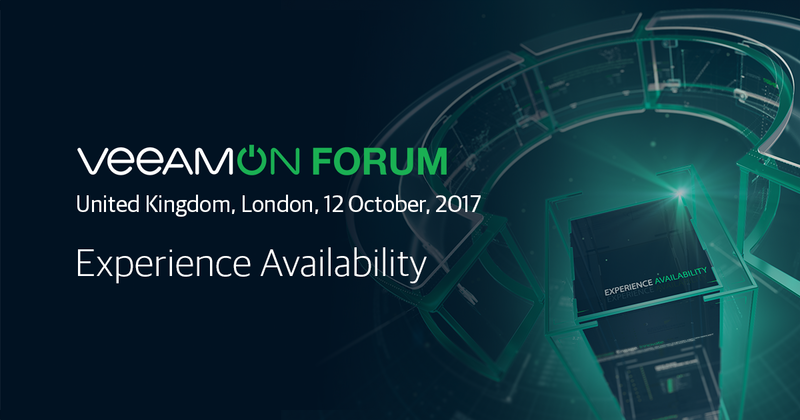 Well it’s come around again and in two weeks VeeamON London kicks off on the 12th of October. This is a free one-day event where you can learn about the latest news and best practices from Veeam and their partners. It is a full days’ worth of information split across two tracks technical deep dive and industry trends Breakout. From the sessions list of particular interest to me is what’s new in version 10, performance optimisations and the cloud related data protection sessions. I’m going and I hope to see some of you there. If you are going give me a shout in the comments or via LinkedIN / Twitter. If you’re not already registered you can do so here. Previous Post Turbonomic 6.0 – What’s new? Next Post #Blogtober is go!